Born in Tanzania (East Africa) in 1958, followed by careers in India, USA and back to India. His father and Grandfather were also born in Tanzania (East Africa). His wife(Reeta Parikh)is also from Tanzania US board certified cardiologist and cardiovascular interventionist by qualification. He has been a Clinical cardiologist and cardiovascular interventionist since 1987.He pursued his early medical studies at Smt. N.H.L. Municipal Medical College, Ahmedabad. Internship in Internal Medicine at Case Western University, Cleveland, USA, Residency in Internal Medicine at University of Southern California Medical Center, Los Angeles, USA. He attained Cardiovascular Fellowship including Invasive and Noninvasive Cardiology at Kaiser Permanente Medical Center (UCLA/ USC), Los Angeles, USA. Fellow of Cardiac Society of India (FCSI), Fellow of American College of Cardiology (FACC),Fellow of European Society of Cardiology (FESC), Fellow of Society for Cardiac Angiography and Interventions (FSCAI), Fellow of International Academy of Cardiovascular Sciences (FIACS). Alumnus of the Harvard Business School, Owner/President Management (OPM Program-48) in 2014-2016. He was Chief of Medicine (1991-1993) at St. Rose Hospital, Hayward, California and Chief of Cardiology/ Cardiac Catheterization Laboratory (1990-1991) at St. Rose Hospital, Hayward, California. Between 2001 and 2005, Dr. Parikh was Director, Cardiac Catheterization Laboratory, Sterling Hospital, Ahmedabad. A recipient of several awards, the most prestigious one has been the 2004 International Service Award by the American College of Cardiology in recognition of the contribution to the ACC and to the international cardiovascular community, as well as listed for many years in “Who’s Who”/ Marquis. He received the “LIFETIME ACHIEVEMENT AWARD IN CARDIOVASCULAR SCIENCE, MEDICINE AND SURGERY” by the International Academy of Cardiovascular Sciences, Winnipeg, Canada. Awarded by (AAPI-American Association of Physician of Indian Origin) Global Summit 2014 “Leadership Award” the Award was presented by Honorable Chief Minister of Gujarat Shri Narendra Modi January 2014. Recevied (Indian Council of Social Welfare-ICSW Gujarat State) “GLORY OF GUJARAT AWARD” for dedication and distinguished role in Cardiologist and Cardiovascular filed as a Devoted Doctor and Social Activist by Honorable Governor of Gujarat Smt. Kamla Beniwal December 2013. Awarded by Divya Bhaskar as one of the contemporary achievers in “The 100 Power list, 2010”-‘100 Ratno of Gujarat’-Biennial list released this Swarnim year-celebrates not only the eminence of Gujarat in its 50 years of glory but also salutes all those achievers and entrepreneurs who have shaped the success of the state. April 2011 He has been awarded “IMA DR.K.SHARAN CARDIOLOGY EXCELLENCE AWARD” by Indian Medical Association (HQS) for the year 2010. He has been member of American Medical Association (AMA), USA, working group on Pathogenosis of Atherosclerosis of the ESC, Academy of TCT, USA. CIMS hospital has created a history by performing First Heart Transplant Surgery in Gujarat and first Transcatheter Aortic Valve Replacement (TAVR) in Gujarat. Managing Director – CIMS Hospital. Recipient of National Merit and Post-graduate Merit Scholarships – had extensive training at India’s most prestigious institute namely Jaslok Hospital and Research Center, Mumbai ; Christian Medical College, Vellore and Sanjay Gandhi Postgraduate Institute, Lucknow. The first cardiologist from Gujarat to possess two highest degrees in cardiology – DM and DNB. One of the most versatile and one of the highest volume Interventionalist of India. With 26 years of experience in Cardiology, he has been appointed as a post-graduate teacher in Cardiology by National Board of Examination – the highest medical education body in India. He has been awarded “Distinguished Service Award in Cardiovascular Sciences, Medicine and Surgery” by International Academy of Cardiovascular Sciences, Winnipeg, Canada, in February 2011. He also received Fellowship of American College of Cardiology in June 2014. Executive Director – CIMS Hospital. Founding Partner and Director of 350 beds multi-super specialty state-of- the-art “Green Eco-friendly CIMS Hospital “.Born in historical land of Saurashtra (Gujarat, India) in 1971, followed by career in Ahmedabad, India. His wife (Parvin Chandarana) too, is a renowned Dental Surgeon at CIMS Hospital. MCI certified cardiologist and cardiovascular interventionist by qualification. He has been a Clinical cardiologist and cardiovascular interventionist since 1999. He pursued his medical studies – MBBS, MD (Internal Medicine) and DM (Cardiology) at Asia famous B. J. Medical College, Ahmedabad. He had a brilliant academic carrier with Gold Medals at almost each level. . He attained comprehensive knowledge and skill in Noninvasive as well Interventional Cardiology at the Institute of Cardiology and research Centre, Ahmedabad,India. He has an extensive teaching experience. He was an Assistant Professor at the U. N. Mehta Heart Hospital and Institute of cardiology and Research Centre, Ahmedabad, India. He keeps on teaching students and practicing Doctors to update their knowledge which, in turn, helps the treatment of patients across the country. He has participated in several original research projects and many of them have been published at National and International levels in reputed journals. Has received several awards during his student tenure and professional carrier. He has travelled extensively across Gujarat, Rajasthan, MP and other parts of India to create awareness in people about prevention of cardiac disease through lifestyle improvement. To fulfill social commitment of helping the needy, he has organized many diagnostic and therapeutic camps across the western India. He has been a member of Indian Medical Association (IMA), India and a member of the scientific committee of IMA, Ahmedabad, India. Interventional Cardiologist, Director, CIMS Hospital. Over 15 years experience in intensive care in Clinical Cardiology, non-invasive cardiac investigations, all Cath Lab procedures. Special interest in Primary Angioplasty. More than 200 national & international publications to his credit; faculty at many cardiac conferences.Awarded fellowship by Cleveland Clinic Foundation, Ohio, USA as International Scholar in Interventional Cardiology Department in year 2003-2004. Interventional Cardiologist. Director, CIMS Hospital. Post Graduate in Medicine (B J Medical College, Ahmedabad). Former Research Fellow at Institute of Cardiology and Research Center, B.J. Medical College, Ahmedabad,Gold medal in Doctorate of Medicine (DM). Has authored many research papers and has extensive experience in the fields of clinical, invasive and interventional cardiology. Dr. Ajay Naik is an Interventional Cardiac Electrophysiologist and Interventional Cardiologist. He was born (in 1968) and educated in Mumbai. He completed his medical education at the reputed Seth GS Medical College and KEM Hospital,Parel, Mumbai. He obtained DM and DNB degree in Cardiology from KEM Hospital, Mumbai in 1998. He has received the “RD Shirwalkar award” and “Bai Gangabai award” at Seth GS Medical College during his MBBS and the “Best Resident” award at KEM Hospital during his Doctoral Cardiology Fellowship. He completed a Fellowship in Cardiac Electrophysiology at Cedars-Sinai Medical Center, Los Angeles, California, USA in 2001. He is a Fellow of American College of Cardiology (USA), Fellow of Heart Rhythm Society(USA), Fellow of Asia Pacific Society of Cardiology (FAPSC), Fellow of Cardiology Society of India (FCSI), Fellow of India Society of Electrocardiology (FISE) and Fellow of Indian Heart Rhythm Society (FIHRS). He is currently the “President-Elect” of the Indian Society of Electrocardiology and serves in the Executive Committee of the Indian Society of Electrocardiology (ISE) and the Indian Heart Rhythm Society (IHRS). He is working as a Cardiac Electrophysiologist, Cardiac Arrhythmia and Heart Failure management specialist since 2001. He has worked at Sterling, SAL and Apollo Hospitals, Ahmedabad, Asian Heart Institute,Mumbai. He has also started and set up the Electrophysiology services at Shahid Gangalal Hospital, Kathmandu, Nepal. He has several publications in reputed international journals. International & National Faculty for Cardiac Electrophysiology conferences. Currently, he is the Director of Arrhythmia and Heart Failure department of CIMS hospital,Ahmedabad. Director, CIMS Hospital. Has done his basic medical education in Rajasthan and DM from Christian Medical College, Vellore. Former Tutor in Cardiology and Senior Registrar at Christian Medical College,Vellore. Completed Interventional Cardiology Fellowship from Pitie -Salpetriere University Hospital, Paris(France). During fellowship, got trained in radial Angiographies & Angioplasties. Presented many papers at National and International conferences. Has many publications in reputed National and International journals. Has been honored by many national authorities for best social services in the medical field in different regions of Rajasthan. Currently practicing as a consultant Cardiologist & Interventionalist at CIMS Hospital, Ahmedabad. Invited by Tajikistan Government to set up cath lab there. He did many radial angiographies and angioplasties. Acknowledged by President of Tajikistan for doing 1st time radial angiography and angioplasty in the country.Recently awarded Fellowship of European Society of Cardiology (FESC). Mobile – +91- 98255 75933. Carpentieur Foundation Hospital, Ho. Chinminh City Vietnam. Fellowship Course in Minimally Invasive at Leipzig Heart Institute, Germany under Dr. Friedrich Mohr. Pioneer in Minimally Invasive Cardiac Surgery (MICS) in Western India. A part of the Pioneering team in India in developing Surgical Ventricular Restoration and Heart Failure Surgery. Member of Heart Failure society of India.Specialization in Heart Failure Surgery and Stem Cell Therapy. Since last 2 years came up with one of the most technologically advanced and best Hospital named CARE INTITUTE OF MEDICAL SCIENCES (CIMS HOSPITAL). Founder, Director of this First GREEN Hospital of India with the unique blend of medicine and conservation of Mother Nature earth. 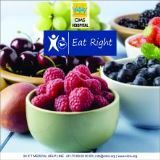 CIMS hospital is ranked among the best hospital in India in medical care and treatment. Expertise in Bypass surgery, Heart failure surgery ( weak Heart ). Valve replacement and repair surgery. Has done almost 5000-6000 open heart surgery in last 10 years.Established the center of excellence with most advanced technology in the field of Minimally invasive heart Surgery. Pioneer in doing all heart surgery through small cut and without cutting the bone, making recovery of the patient faster and cosmetically superior in young females. Also establishing one of the best Heart Failure surgery unit with excellent results.At present leading the team of 6 cardiac surgeons. A Tanzanian by birth Kirti spent his childhood days in Dar-es-salaam. He studied at Mtendeni Primary School, Olympio Primary school and finally Shaaban Roberts Secondary school before leaving Dar-es-salaam for further studies to India. He is now settled in UK since 1980. A former London FTSE Executive Director, he is a Pharmacist by Profession also completed a Pharmaceutical sciences diploma at Chelsea University. He is a Member of Institute of Pharmacy management and a Fellow of Royal Society of Medicine for number of years. He is also a member of TOPRA, a professional body of Regulatory professionals within the Pharmaceutical sector and also served on the Board Member of European Generic Association based in Brussels. Following a Masters degree in Pharmacy and training he started his own Retail Pharmacy in 1993 within UK. He then expanded to build a chain of Pharmacies and a wholesale operation with other associates in south of England. He set up a Printing business with a colleague in 1987 which provided Print broking services to organizations until 1995 when it was sold. He co-founded Goldshield Group plc in 1989 and led a management buyout in 2009 and ultimately selling the company as Mercury Pharmaceuticals Ltd in 2012. He was the Chief Operating Officer and Deputy Chairman of Goldshield Group which floated on the London Stock Exchange in 1998. His major achievements at Goldshield Group have been acquisitions of product all over the world with a purchase value of over £100m and Company acquisitions over £30m. He helped Goldshield to set up their base in at least 12 EC countries and created a network of distributors in over 50 countries outside of Europe and employing over 1000 people all over the world. He is a shareholder and Director of CIMS hospitals in India and also CEO of a niche Pharmaceutical company which focuses on developing novel formulations. He is a involved as a shareholder and a strategic advisor to Endeavour schools in USA. Ash Jain has been in practice in the Bay Area for the last 21 years. His practice encompasses all areas of cardiovascular medicine, including general medicine, cardiology, and both general and interventional and peripheral vascular disease. He has had extensive experience in managing patients with these medical problems. His interventional experience includes ‘head to toe’ revascularization of both arteries and veins. He has introduced many innovative interventional techniques to Washington Hospital and other hospitals where he practices. Serving in the East Bay Area since he started practicing, he has experience in managing patients of multi-ethnicity. He is the founder of the multi-specialty group, California Cardiovascular Consultants and Medical Associates (CCCMA). It is a multi-ethnic group of twenty seven physicians with offices in Fremont, San Leandro, Hayward, Newark, Milpitas, San Jose and Pleasanton. He is the founder of California Hospitalist Medical Corporation, with 15 physicians working out of two hospitals. He is a joint founder of a large Multispecialty hospital in Ahmedabad, Gujarat,India. He founded the Mission Cardiovascular institute with seventeen active interventional trials encompassing devices used for revascularization of arteries from head to toe. Dr. Jain is the Director of Critical Care Unit, the Chair of Critical care committee, the Director of Perpheral Vascular services, the Chair of Peripheral Vascular committee, the Past Chair of Department of Medicine, and the Director of Stroke Program at Washington Hospital. He helped found the Wound Clinic. Dr. Jain is a graduate of Delhi University in India. He did his Internal Medicine at Georgetown University, where he was awarded as “Best Intern of the Year”. Subsequently he did Cardiology fellowship at Michael Reese Hospital in Chicago. He went on to do Interventional Fellowship at Oschner Clinic in New Orleans. Since then,he has been practicing in the East Bay area. He is Board Certified in Internal Medicine, Cardiology and Interventional Cardiology. He is interested in introducing the latest management techniques for patients at risk for heart and vascular diseases and in developing community educational programs. Additionally, he has done a lecture series on prevention of cardiovascular diseases. He is involved in multiple new device research technologies and has built a strong research program, and has written and presented many abstracts and publications. He has been involved in doing live training courses for interventional devices for coronaries and peripheral vascular disease. He trains cardiologist, radiologist and vascular surgeons to perform advanced interventional procedures. Professor, Public Systems Group at IIM Ahmedabad (On leave) and also Dean of Indian Institute of Public Health, which is collaborative effort of Public Health Foundation of India and government of Gujarat. Done his Doctor of Public Health (Dr. P.H) from Johns Hopkins, School of Hygiene and Public Health, Baltimore, USA., Done his MD in Preventive and Social Medicine Gujarat University, Master of Public Health (MPH) from The Johns Hopkins School of Hygiene and Public Health USA ,Acted as a Consultant to various national and international organizations. Has authored many articles in peer reviewed journal and also contributed chapter to books. Practicing Pulmonologist and Critical Care Specialist since 1990′s in Central Florida. US Board Certified in Internal Medicine, Pulmonary Medicine, Critical Care Medicine and Sleep Medicine. Specializing in the Treatment of Sleep Disorders. Clinical Assistant Professor at Florida State University Medical College. A member of Trauma Team.